﻿ Amulet Hotel in Bukhara, Uzbekistan. Гостиница Амулет в Бухаре. 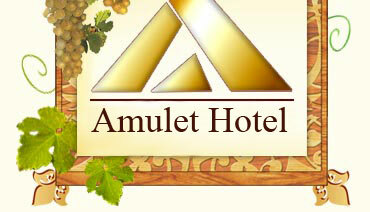 Welcome to Amulet Hotel in Bukhara! Amulet Madrassah Hotel located in Bukhara, just next to the ancient Lyabi-Khauz ensemble. It was built in the early 19-th century by a famous merchant, Said Kamol as a madrasah where students lived and studied everything from philosophy to religion. Reconstruction completed in May 2005, many ancient artifacts have been stored in the yard and in the rooms. We offer standard 3-star hotel services including transportation and guides. Tea and sweets free of charge.